Not everyone is satisfied with the Big Bang. But every alternative is a disastrous failure. It’s treated as though it’s an unassailable scientific truth: 13.8 billion years ago, the Universe as we know it emerged from a hot, dense state known as the Big Bang. While there were a number of serious alternatives considered for decades, throughout the 20th century, a scientific consensus emerged more than 50 years ago with the discovery of the Cosmic Microwave Background. Despite many attempts to revive a variety of the discredited ideas, as well as attempts to formulate new possibilities, all have fallen away under the burden of the full suite of astronomical data. 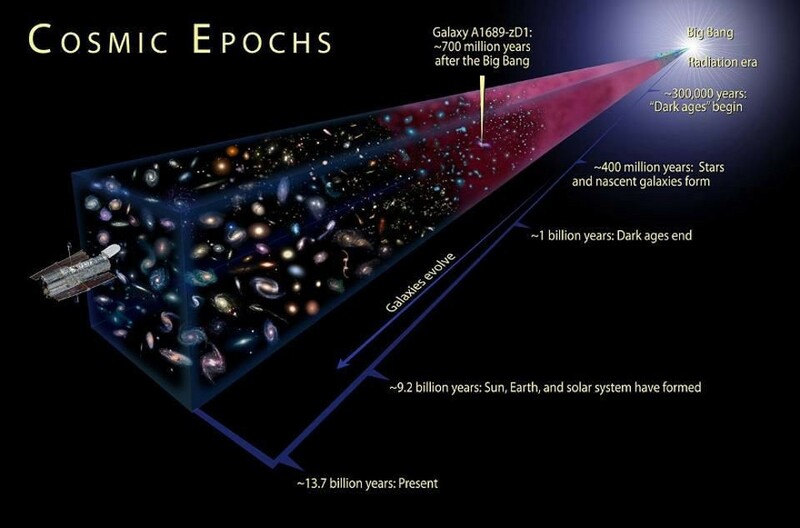 The Big Bang reigns supreme as the only valid theory of our cosmic origins. Here’s how we discovered our Universe started with a bang. A suite of new discoveries in the early 20th century revolutionized our view of the Universe. In 1923, Edwin Hubble measured individual stars in spiral nebulae, measuring their variable periods and their observed brightness. 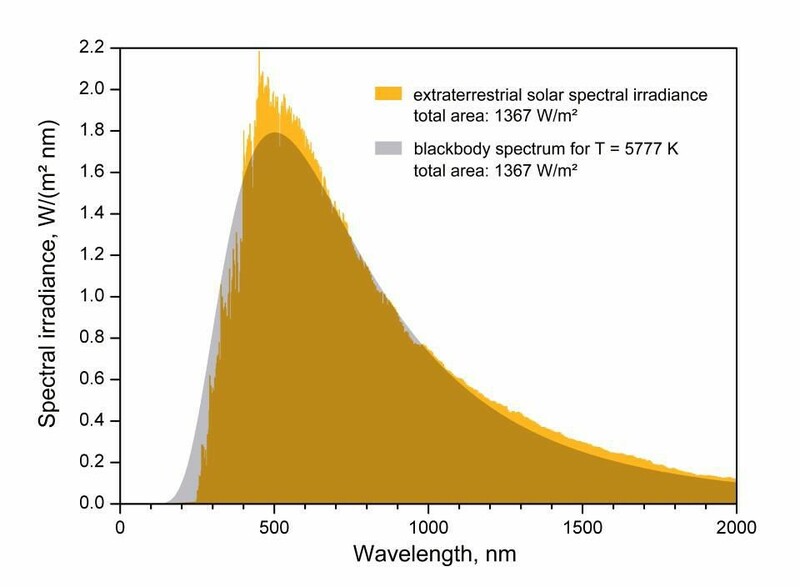 Thanks to the work of Henrietta Leavitt in formulating Leavitt’s law, which related such a star’s variable period to its intrinsic brightness, we obtained distance measurements to the galaxies that housed them. These galaxies were well outside our own Milky Way, with most residing millions of light years away. Combined with redshift measurements, we were able to discover an important relationship: the farther away a galaxy appeared to be from us, the greater its redshift was measured to be. A number of possible explanations were advanced, such as the light from these objects lost energy as they traveled through space, or the more distant galaxies were moving away faster than the nearer ones, as though they all originated from an explosion. However, one explanation emerged as the most compelling: the Universe was expanding. This explanation was consistent with the predictions of General Relativity, as well as the observed large-scale smoothness observed in all directions and locations. 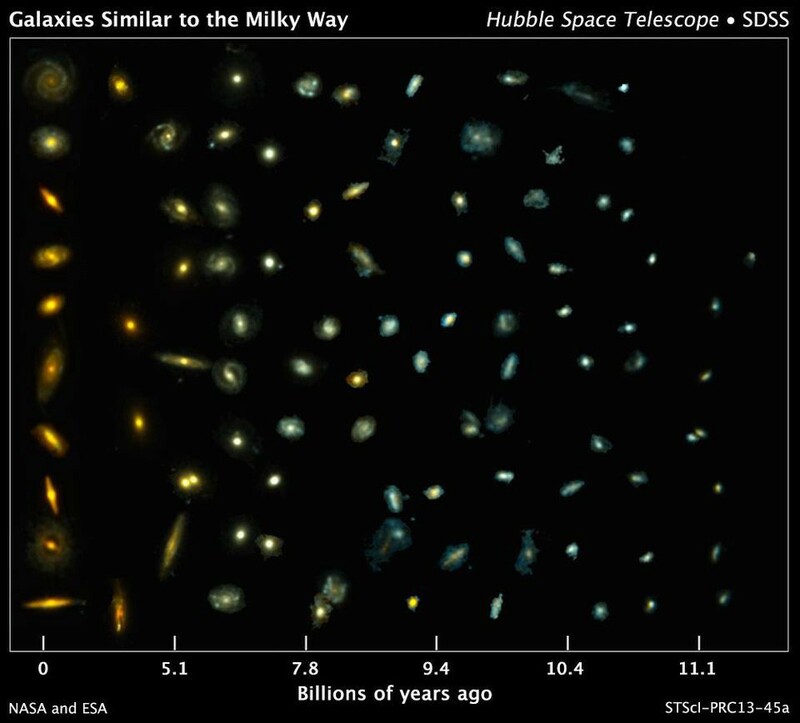 As more galaxies at greater distances were discovered, this picture was validated further. The Universe was expanding. or because the Universe originated from a hot, dense state. Only this last option represents the hot Big Bang. But if the idea of the Big Bang were correct, there would be a slew of new predictions that should arise. 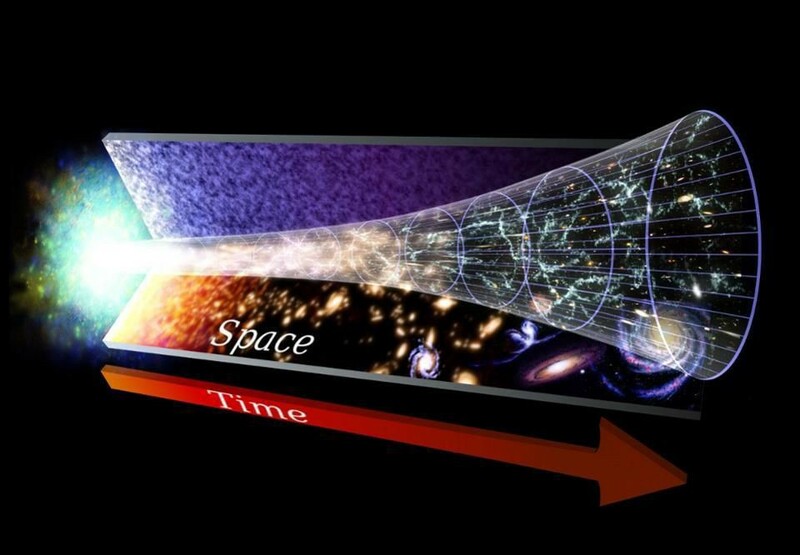 The expanding Universe, in the context of General Relativity, was the first, but there were three other, major ones that would lead to different observable consequences from the alternatives. 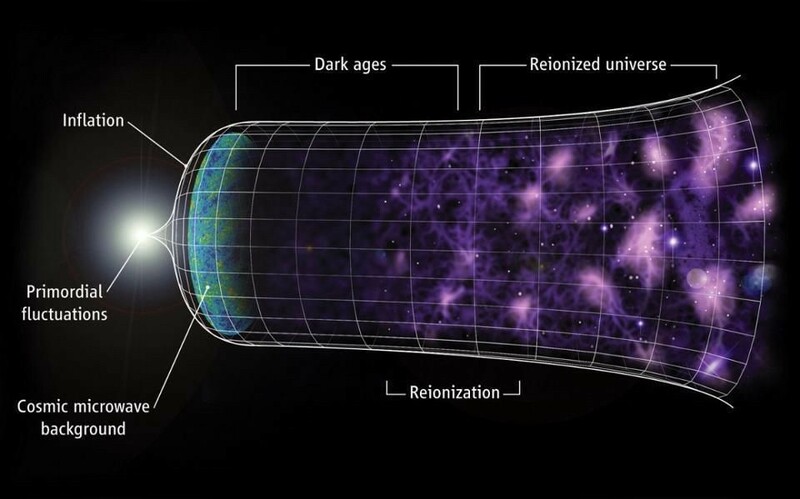 The first is that if the Universe originated from an arbitrarily hot, dense, and more uniform state to expand-and-cool to what we see today, then as we look farther away, we’re looking back in time, and we should see the Universe as it was when it was younger. We should see, therefore, galaxies that were smaller, less massive, and made up of younger, bluer stars at great distances, before arriving at a time where there were no stars or galaxies at all. The second, extrapolating even farther back, would be that there should be a time when the Universe was so hot and energetic that not even neutral atoms could form. At some very early stage, therefore, the Universe transitioned from an ionized plasma to one filled with neutral atoms. Any radiation that was around at that early stage should simply stream to our eyes, affected only by the expansion of the Universe. That’s it; there should have been no elements heavier than that. 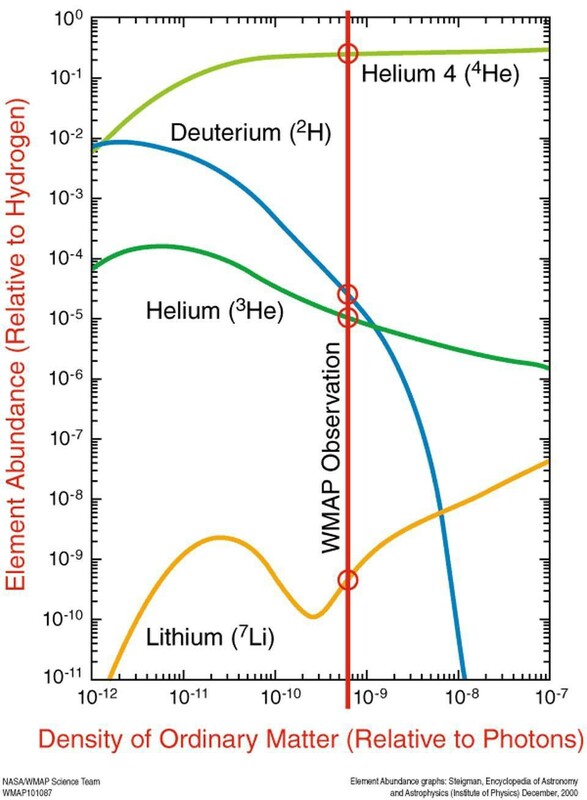 Hydrogen, helium, a little bit of isotopes of each, and a tiny bit of lithium. Observationally, this has been confirmed as well. Distant light, either from early galaxies or distant quasars, gets absorbed by intervening clouds of gas, allowing us to probe the contents of that gas. 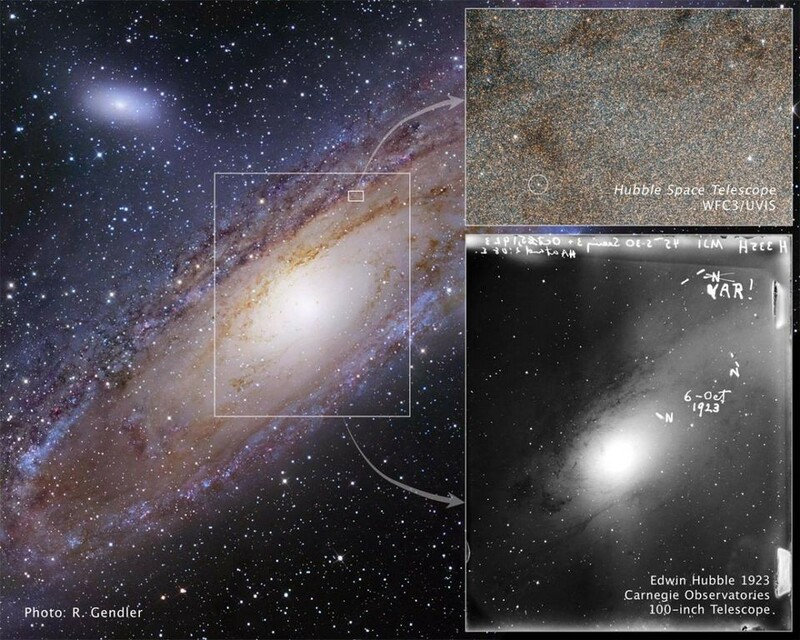 In 2011, we discovered two pristine clouds of gas, detecting hydrogen and helium in the exact, predicted ratios, and discovering (for the first time) a population of gas that had no oxygen or carbon: the first products of newly-formed stars. The only way to arrive at the Cosmic Microwave Background with the uniformity, spectrum, and temperature it possesses is to posit a hot, thermal origin for it in the context of the expanding Universe. 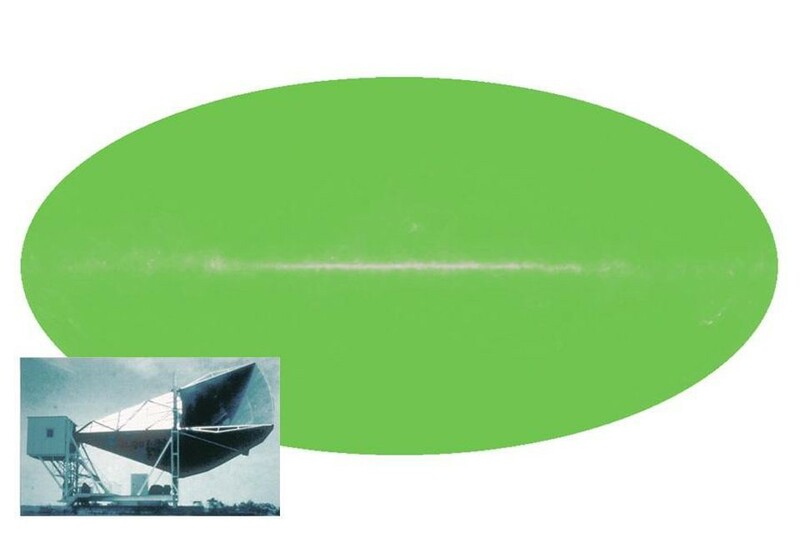 This was conjectured back in the 1940s by George Gamow and his collaborators, first observed in the 1960s by Arno Penzias and Bob Wilson, and had its spectrum definitively proven to be blackbody in the 1990s with the COBE satellite. The large-scale structure of the Universe has been determined through all-sky surveys and deep field measurements with ground-and-space-based observatories, and has revealed a Universe consistent with the Big Bang and not with the alternatives. And the evolution of the elemental abundances, from metal-free early stages to metal-poor intermediate stages to the late-time, metal-rich stages that we observe today, all demonstrate the validity of the Big Bang. 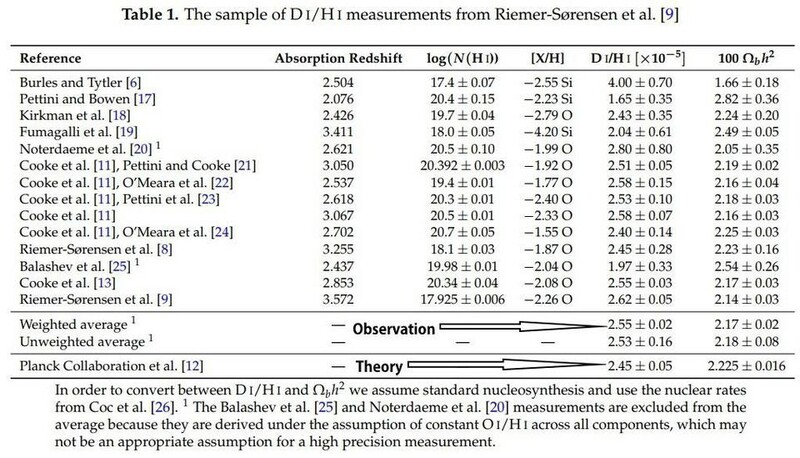 If you can come up with an alternative explanation for these four observations, you will have the start of a viable alternative to the Big Bang. Explain the observed expansion of the Universe, the large-scale structure and the evolution of galaxies, the Cosmic Microwave Background along with its temperature and spectral properties, and the relative abundances and evolution of the elements in the Universe, and you’ll challenge the theory of our cosmic beginnings. For more than 50 years, no alternative has been able to deliver on all four counts. No alternative can even deliver the Cosmic Microwave Background as we see it today. It isn’t for lack of trying or a lack of good ideas; it’s because this is what the data indicates. 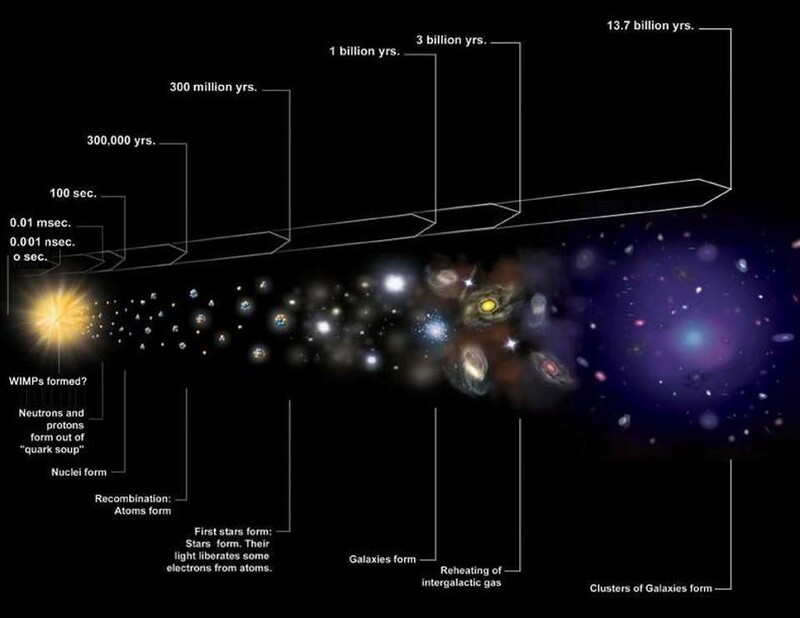 Scientists don’t believe in the Big Bang; they conclude it based on the full suite of observations. The last adherents to the ancient, discredited alternatives are at last dying away. The Big Bang is no longer a revolutionary endpoint of the scientific enterprise; it’s the solid foundation we build upon. It’s predictive successes have been overwhelming, and no alternative has yet stepped up to the challenge of matching its scientific accuracy in describing the Universe.